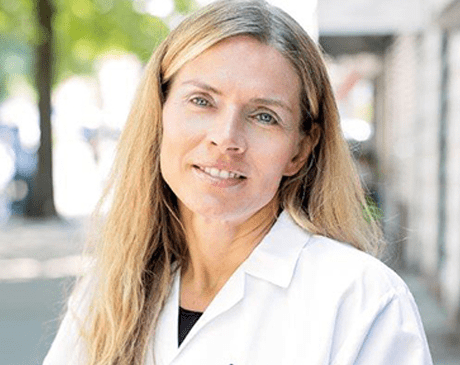 Dr. Katarzyna Perlman received her medical degree from Semmelweis University School of Medicine in Budapest, Hungary, and is board certified in Obstetrics and Gynecology. Dr. Perlman completed her residency in OB/GYN at Maimonides Medical Center in Brooklyn, New York. She has received the Laparoscopy and Endoscopy Award from the American Association of Gynecological Laparoscopists as well as the Finalist Award from the Brooklyn Gynecological Society. Dr. Perlman is currently the Director of Urodynamics at Boro Park OB/GYN. She is particularly qualified in Urodynamics and in performing Essures and Hystrosonograms. Dr. Perlman is fluent in Polish, Swedish, and Hungarian. She enjoys theatre, traveling and spending time with her family.